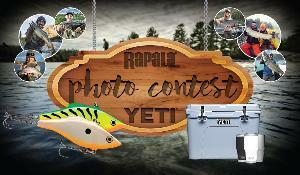 What you must do to enter: SUBMIT A FISHING PHOTO AT THE LINK BELOW PASS THE REFERRAL LINK ALONG TO FRIENDS. WHEN THEY ENTER, YOU’LL GAIN MORE ENTRY POINTS. SHARE YOUR PHOTO TO COLLECT LIKES AND MORE ENTRY POINTS!